The Pearson Test of English (PTE) is an easy computer-based examination that standardizes one’s English language skill. This test is aimed at non-native English speakers who are willing to migrate to any of the English speaking countries for education or employment. The test has four parts: Reading, Writing, Listening and Speaking. One of the finest parts of this PTE exam is that the whole test is done in a single session lasting 3 hours, and it is taken sitting in front of a computer in a secure environment. The speaking part of the examination is done in the computer. There is a system to record the voice that is sent for the marking. The PTE Academic (PTE Academic) is a fairer exam than any other standard the English test that marks one’s readiness in the English language to participate in university-level English language instruction program for UK, USA, Canada, Australia, New Zealand, and many more. One advantage of the PTE test is that you will get your result very fast as it is generated by a foolproof computerized process. It takes around 5 days to know your position. Speaking and Writing- there are two vital test modules that assess all communication skills of an examinee. As the PTE test is scored against the Global Scale of English, it gives you the accurate snap of the performance of the test taker on a scale of 10 to 90. In the detailed score report, you can analyse your performance as well as your drawbacks. Joining a right coaching centre and working hard are the keys to crack the exam with a good score. To get a high score in the PTE Academic one must work hard and also hire a competent team of study-guide. You can contact Gateway Abroad, one of the most veteran team of educationalists in India. 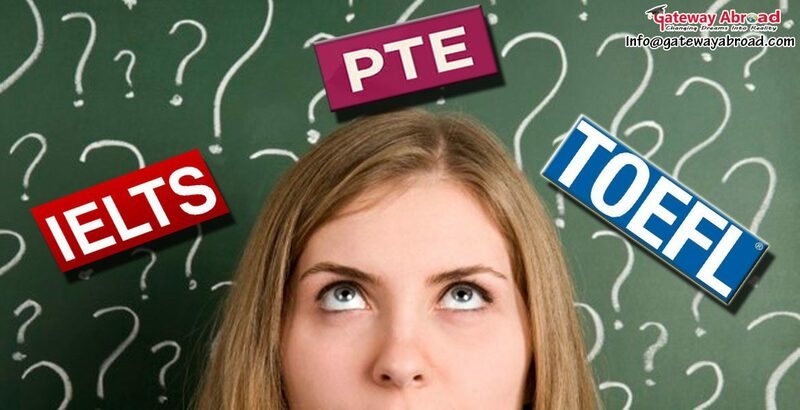 The experts will definitely help you get a good score in PTE, the doorway to overseas education.